Note:- For States Implementation Kindly contact with your state co-ordinator .Click here for Contact List. How to get eOffice ? eOffice is a cloud enabled software that can be deployed/hosted in any data centre or in any cloud identified by the organization. 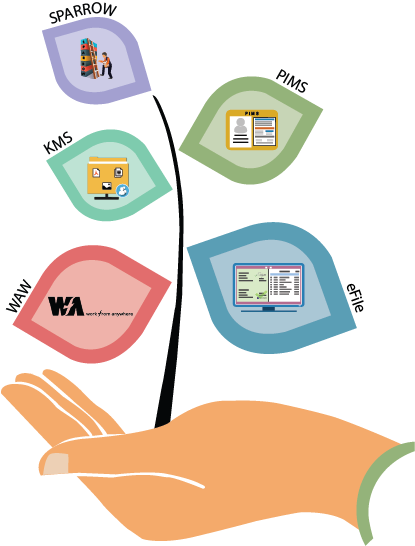 NIC team shall help the organization in setting up of eOffice environment, master data preparation and in initial rollout. For Continuous Support & Roll-Out, NIC team shall provide training to the IT-Team/Agency identified by the organization. Upgrades to eOffice Software as well as patches to address new threats/vulnerabilities will be made available from time to time.